Your personal coffee world begins on the EQ.6 plus display. With the option of two cappuccinos simultaneously. Favorites: Save your individual preferences for coffee and milk specialities and access them at any time. iAroma System: perfect interplay for perfect taste. 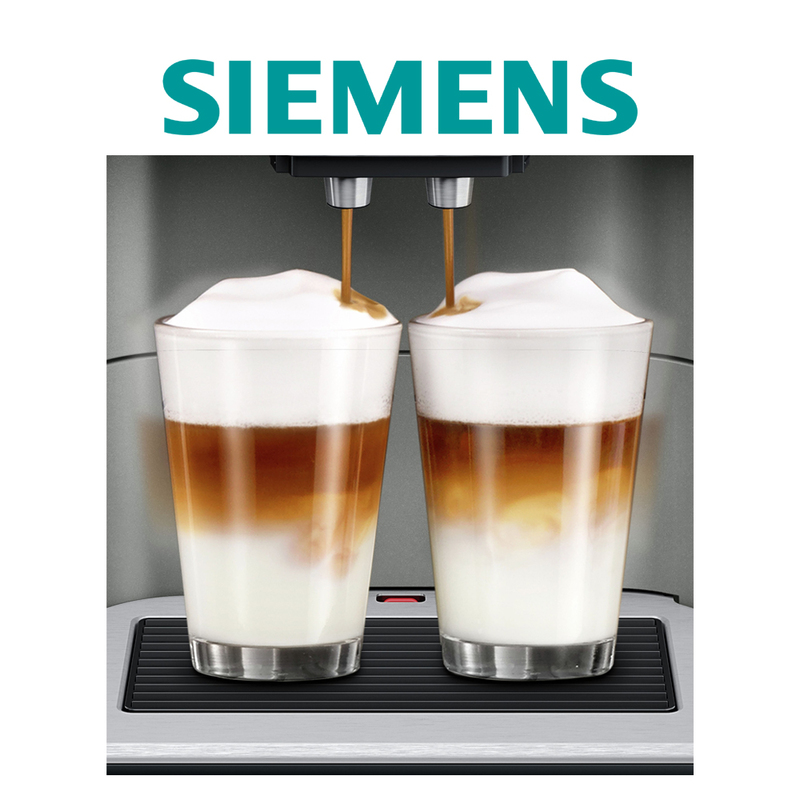 Thanks to the iAroma System, Siemens fully automatic espresso machines ensure always the best quality for any beverage. It is an elaborate, intertwined system, where all components seamlessly work together to guarantee one ultimate goal: your enjoyment. 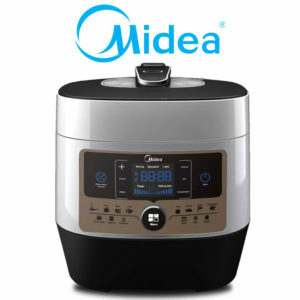 Ideal brewing temperature for maximum aroma: sensoFlow System. To ensure that the full aroma of the espresso can be unlocked, the coffee must be prepared at the right brewing temperature. 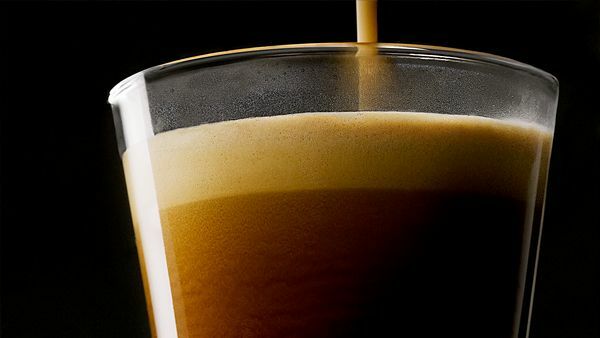 The ideal brewing temperature for a perfect espresso is between 90°C and 95°C. If the temperature is too low, only some of the flavour is released from the coffee. If the temperature is too high, the coffee will quickly acquire a burnt taste. EQ fully automatic coffee machines with the sensoFlow System—the only system of its kind in the world—always heat the water to the right temperature and maintain this temperature throughout the entire brewing process — professional technology that guarantees you a professional espresso. Perfect pleasure at the touch of a button: oneTouch Function. No matter what coffee speciality you desire, whether its latte macchiato, creamy cappuccino or extra-strong espresso, thanks to the oneTouch Function your fully automatic coffee machine can serve you up pure coffee indulgence at just the touch of a button — it’s as easy as that. The system prepares coffee and milk specialities automatically — just how you like them. 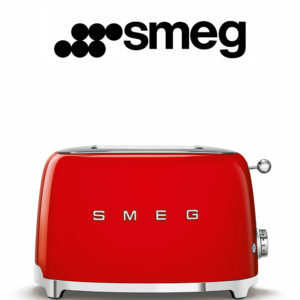 The perfect technology for a thoroughly indulgent coffee experience. For extra-strong coffee: aromaDouble Shot. Extra-strong coffee without compromising on aroma — thanks to the innovative aromaDouble Shot function. With the aromaDouble Shot function, two grinding and brewing processes consistently create the best aroma. 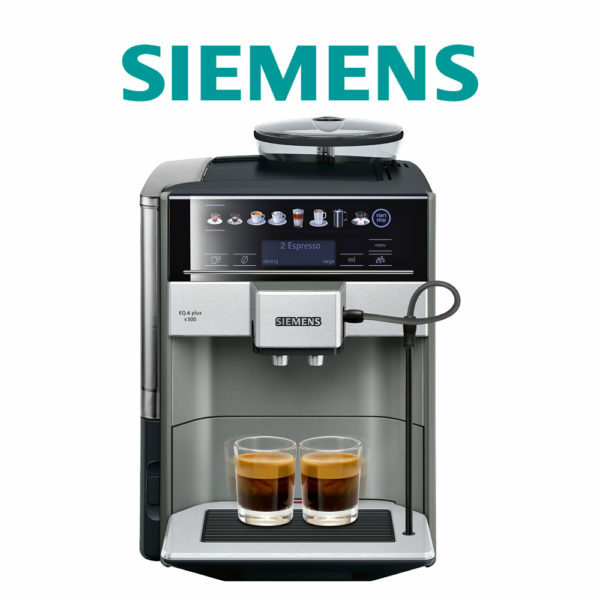 This automatic process ensures there is no bitter aftertaste, as less water means that less bitterness is released — ensuring that only the best of the beans make it into your cup. For longer-lasting coffee indulgence: calc’nClean. calc’nClean cleans and descales in one go. This service program makes cleaning your appliance incredibly easy and maximises the product lifespan, so that you can enjoy exceptional coffee for even longer. Fresh brewing water, every time: singlePortion® Cleaning. The simple singlePortion® Cleaning function cleans all the pipes in your appliance hygienically after every single brewing process — so your coffee is always prepared using fresh water. Perfection down to the very last detail for the ultimate indulgence. Individual filling quantities: individualCup Volume. To create exceptional coffee not just for standard cup sizes, but also for all sizes in between, you need the perfect technology for the job. Using the individualCup Volume function, the preset cup sizes of “small”, “medium” and “large” can each be adjusted to five different capacities to suit how much drink is required. Everything at the touch of a button – and in two cups at the same time: oneTouch DoubleCup. No matter which of the many coffee specialities you choose – whether it’s strong espresso, creamy cappuccino, latte macchiato or caffelatte: With oneTouch DoubleCup your beverage is prepared at the simple touch of a button – it’s as easy as that. And even better: you can also get two cups at the same time. autoMilk Clean: automatically cleans the milk system. 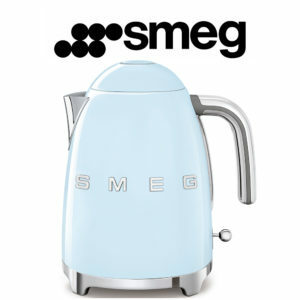 The preparation of really good, aromatic coffee specialities is a delight – cleaning the milk system isn’t. 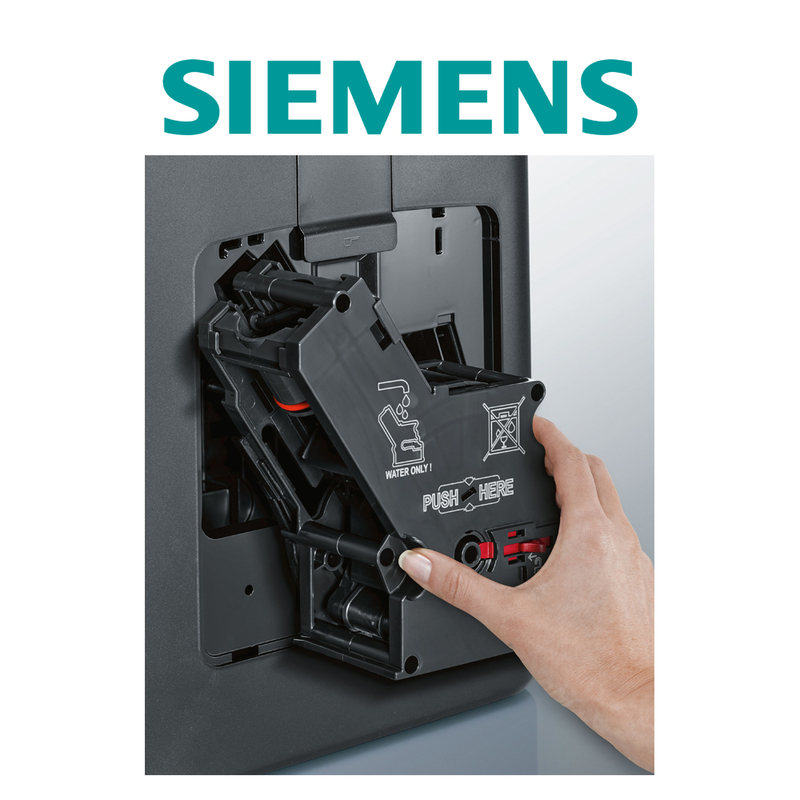 Which is why Siemens developed autoMilk Clean. This fully automatic steam cleaning system activates after every drink, ensuring perfect hygiene and relieving you of having to clean the milk system every day. Milk residue simply doesn’t get a chance to develop – allowing you to just sit back and enjoy a great cup of coffee. Flexibility whatever you’re drinking: Height-adjustable coffee outlet. Whether you’re taking a quick espresso break or savouring a glass of latte macchiato, the height-adjustable coffee outlet adjusts perfectly to each cup size. Even 15 cm tall latte macchiato glasses fit easily under the coffee outlet. Enjoy pure perfection down to the finest detail — without limitations. Perfect hygiene: Thanks to removable brewing unit. For hygienic cleaning, even inside the appliance, the brewing unit in the fully automatic coffee machine is easy to remove, rinse under running water and then replace. So you can get back to doing what you really want: savouring the pure aroma of the finest coffee specialities. Cup after cup of pleasure: The 15,000 cup guarantee. The ultimate coffee indulgence combined with state-of-the-art technology — that’s what the 15,000 cup guarantee is all about. With this guarantee, Siemens promises a consistently high appliance performance for perfect coffee every time — from the first cup to the 15,000th. Makes simple operation a unique experience: coffeeSelect Display. Switch on and enjoy: Thanks to the coffeeSelect Display, the perfect coffee experience starts the moment you switch on the machine. The large user interface presents an inviting selection of aromatic coffee and milk specialities. 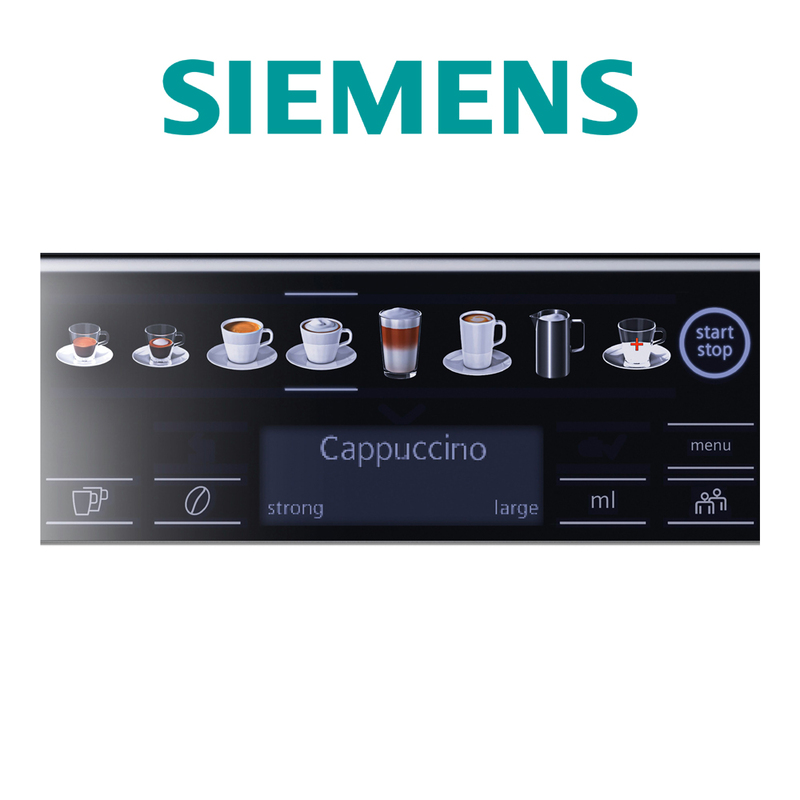 Thanks to its intuitive use concept, all functions can be accessed directly just by touching the sensor controls – making the simple act of preparing a coffee a unique experience.